This image previews the look of the new Mitsubishi Lancer, which is set to return as a crossover and could get hybrid power. Mitsubishi is working on a radical return for the Lancer name, as a funky C-segment crossover that will rival everything from the Ford Focus to Toyota’s C-HR. The Japanese brand is enjoying a rapid growth in sales as part of the same Alliance that includes Renault and Nissan. Now the firm’s boss, Briton Trevor Mann, and chief designer Tsunehiro Kunimoto have started work in earnest on replacements for all of Mitsubishi’s current SUVs – and a new generation of small car and Lancer. Mann revealed that the direction of the Lancer is close to being finalised – and he also gave a strong hint of what size of vehicle will carry the badge. “We have a long-range product plan that’s pretty solid until 2025, and a dotted line beyond that,” he explained. “Within that what we’ve said is, ‘Which vehicles do we want? What are we going to work on?’ We’re going to replace ASX, Outlander and Triton. Then we have these two boxes: Pajero and Lancer. Kunimoto says the design direction previewed by the e-Evolution (above) that was displayed at last year’s Tokyo show is ideal for a smaller vehicle. Our main preview image shows how it could evolve into a new Lancer hatch. “Just because it’s C-segment doesn’t mean it has to be a very conventional hatchback,” the designer explained. “Maybe we can create a new type of hatchback vehicle. We’re thinking quite radically. Originality is as much a part of the Mitsubishi design philosophy now as consistency,” Kunimoto added. The firm is likely to base the Lancer on the latest evolution of the Alliance’s CMF C/D platform. 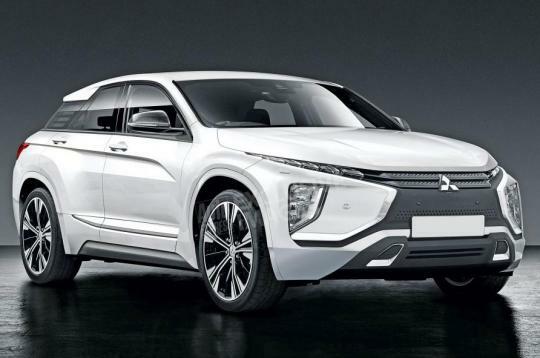 That would support a crossover shape like the e-Evolution’s, while also offering the potential for four-wheel drive and the adoption of Mitsubishi’s hybrid systems, tech that the Alliance brands are working hard to integrate into their platforms. With intense love for cars and bikes since little, and passion for photography, Siddiq tries hard to bring cars to life on the screen, proving his worth as well as his passion for the job.